Did you know you can now order your Deliveroo takeaway from Jamie Oliver's Diner here on View? Jamie Oliver's Diner serves a variety of American meals including ribs, burgers and hot-dogs. 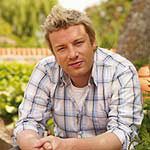 Do you work at Jamie Oliver's Diner? What did you think of Jamie Oliver's Diner? I walk past Jamie Oliver's diner every day for work and have always seen their hot dog fast food counter next their restaurant. It has always been empty but I walked past today and saw that they were now serving burgers and chicken wings. I decided to give it a try as the blackened chicken songs sounded very nice. There were 2 groups of 3 already there and waiting, I asked for chicken wings but they didn't have any so I asked for two burgers with bacon and crispy onions with 2 sides of skinny fries. I waited 15 minutes for my order (freshly cooked so that is understandable), all customers before were served. I took my food to find that the fries were cold, the coleslaw tasteless and wilted and the burger just warm and the 'crispy onion' cold and soggy. All for £18! In future I will keep walking past and if I wanted burger and fries the same quality I will go to the mcdonalds next door where they will be hotter, quicker and cheaper and if I want a gourmet hot dog I will go to Herman ze German on old Compton street, round the corner. Very poor!